You thought Brian Mills and his family would be safe once and for all following Taken 2? Well, I guess dangerous people are still lurking around because it sounds like there’s going to be yet another installment in the Taken movie franchise. EuropaCorp, Luc Besson’s production company, is indeed pushing for a new sequel. Liam Neeson previously said that he wasn’t interested in continuing the franchise… But according to the online rumor there’s a $20 million payday for him if he reprises his role as Brian Mills. I guess that’s an offer he can’t refuse. So, yep you can get ready for Taken 3! Do you have any suggestion regarding the plot of Taken 3? Share your thoughts below! Anyway, stay tuned with us for more details about the movie Taken 3! Brian Mills uses his particular set of skills to save his family from..
Mills tackles his biggest challenge, the most dangerous threat to his family…. Rather than kidnapping his daughter and wife this time someone this time decides to kidnap his beloved mother. The twist. it turns out he has siblings. These siblings might be action stars such as Jason Statham, or other actors of that caliber. Hell add a crazy father and sister to the arsenal too. it will definitely be an action flick and a family affair of families with a set of special skills. 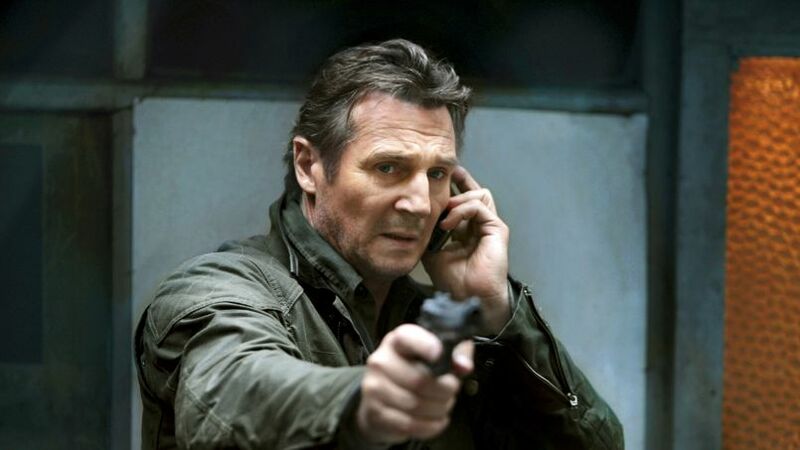 I think that in Taken 3, Brian Mills will have to save his daughter again, but this time, also his 4-year old grandson Kaleb. The daughter will once again run off from stress after her mother’s death, and her tragic break up with her son’s father, and will have to be saved from the same from the same people from Taken 2. The boyfriend at the end of taken 2 looks Truboyan, so i would use him as one of the sons of the bad leader from part 2. He was talking to the daughter when her dad was calling in the pool scene too. I would use that. Look remember that guy he killed last….well he has 2 kids left ,so why not let it be the boyfriend his daughter has and another guy think about it he has to save her from her bf. The sons come after his family for killing their father. I agree with using the boyfriend as the other son of the father he killed in Taken 2, but I would like to see more of his CIA friends. Sam was checking on Jamie but there was never any information provided about him. Kim and Jamie get engaged, then Sam does a deeper background check on Jamie and finds out he’s the other son but gets killed by Jamie before he can tell Brian about it. They get married at a destination wedding and are off on their honeymoon when they both get Taken, but of course the groom is in on it. Brian and Lenore are getting ready to leave back for the US when they find out, so of course they both go to get Kim back. All four of them end up kidnapped and (insert clever getaway scene), and they think they are all safe until Jamie finally shows his true self and has the 3 at gunpoint when VOILA the CIA buddies come to the rescue, and one of them has a son that’s in the CIA that likes Kim. This gives everyone a happy ending cuz the CIA guy knows how to protect Kim. @Chris: Wow. I think you should’ve written the script for Taken 3!! Just saw it and it was nowhere near as good as 1 or 2. I think mom and daughter are written out of the script. Daughter in college or on tour singing. Mother remarried or taking care of ailing parent. This danger will come from Mills past, someone, unexpected because he thought he killed him. To get to Mills perhaps this person will take a child that is dear to Mills as bait. years later, Mills is remarried to his ex-wife and his daughter is married with kids. After years of plotting revenge, they come back and start capturing, torturing and killing his CIA friends one-by-one as revenge. They then TAKE his 2 grandchildren while they are out playing in the yard. Mills soon realizes that this must end once and for all… this time, he may have to give up his own life to take them all out to protect his family for good..
Kim should get married to her boyfriend (which turns up to be the other son of the man he killed in taken 2) then when they leave to go in the honey moon …he will choose a country which represents danger to the family. However he will not say that to kim and her family. When they get to the airport Kim finds out that it’s not the same destination that she got told however she still get on the plain, Then mils finds out where they went and finds what the boyfriend did suspicious and starts finding details about him. Then he can find a very important detail about him which could be that he is the other son and then he can attention his daughter however it’s to late because the guy all ready kidnap the daughter…. Taken 3… the baby grandchild is taken right at the hospital where Kim has her child. The grandfather will have to use his special set of skill to recover the Kidnapped baby before s/he is taken to be sold in the black market of international white kid market. Use his dear friend the one who helped him figure out by whom the daughter got kidnapped by and made the call to the us embassy. In part 3 Liam needs a wing man a sidekick, a young Co star, and maybe the director could add to the movie, more bad guys, more guns, more explosives, more action, & more thrill, then 1 and 2, then it would be a big blockbuster hit!! But already like myself are allot of big fan of the movie!